General Motors doesn't sell tube radios today, but their Delco division certainly sold them over 70 years ago. This is a petite little radio with an adorable vertical ribbon candy design in the speaker grille. The dial face is quite attractive as well. 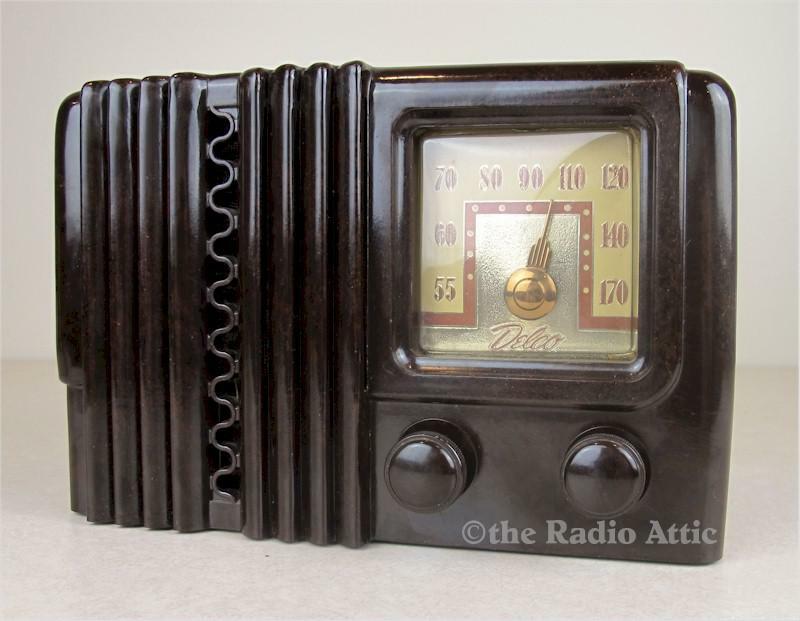 Any collector would be proud to own this post-War radio. The Bakelite cabinet retains its original glossy finish with no chips, cracks or issues. The cardboard backing is in phenomenal condition. A prior owner restored the chassis and it plays great. It weighs 5 pounds; 8-3/4"W x 5-3/4"H x 6-1/4"D.